Several times, in past visits to Arizona, I tried to meet up with fellow blogger and friend, Doug Klassen. Doug publishes a great moto site, 40 Years on 2 Wheels. 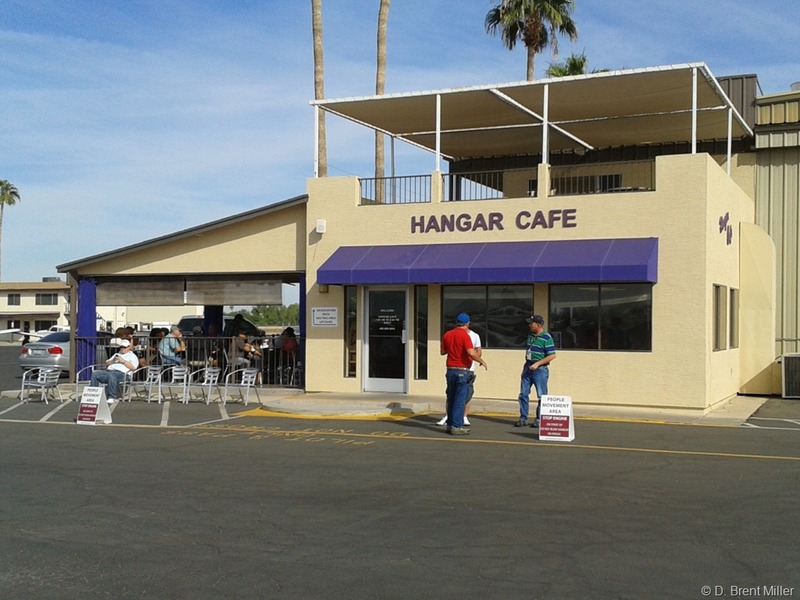 On this visit, we managed to meet for lunch at one of my favorite eateries in the Phoenix area, the Hangar Café at the Chandler Airport. “And you would be Brent Miller?” he asked. Doug and I have followed each other’s blogs for several years and have corresponded frequently. Doug’s writing style is humorous—and good writing. He manages to keep his readers entertained with nostalgia, motorcycling and a sometimes comic decision-making process. In fact, I can’t wait to read what he has to say about me! He gave me a verbal rough draft over lunch, but I didn’t understand the part about ‘a swagger like John Wayne.’ I liked the reference to James Dean. Okay, I can dream a little. We talked writing and motorcycling—two of my favorite subjects. Retirement was thrown in there somewhere too. He is. I only pretend not to be retired. Or, maybe semi-retired makes more sense. I don’t know what to call it. It’s self-employed at age 60—that’s it. After sitting for lunch for about an hour, we hung out in the parking lot for another hour, talking and sharing stories, grabbing a couple of photos here and there. Yup. It was a pretty good meet up, and I found a better friend than I knew before. A week without motorcycling, oh my! I really wanted to ride out to Arizona to attend Overland Expo, but the weather just wasn’t cooperating for leaving the Midwest. Of course, once out here, the weather is fine, just fine. Perfect for riding. Having a need to sit on a motorcycle, I went window shopping. Well, not window shopping, I actually went inside and sat on a few. The BMW shop is nice, but not exactly what I’m looking for. 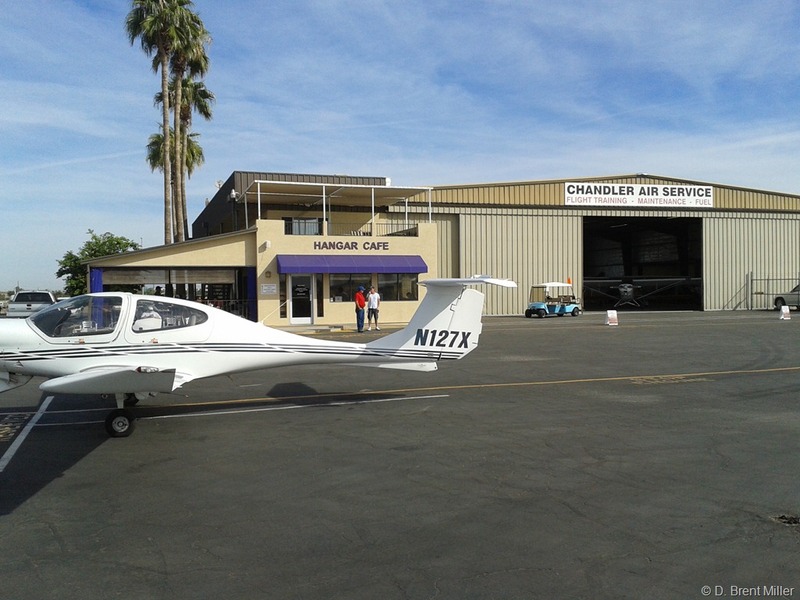 But, I found exactly what I was looking for at Arizona Superbike and more. Just inside the door sat one of the new Triumph Tiger 800s, a white one. The salesman, Greg, was quite helpful. The first thing he said was, “Throw a leg over it.” So I did. Comfortable. It sits just a little taller than my V-Strom. The Tiger 800XC would sit just a little taller due to its off-road nature. Everything I’ve read is that this bike is the next big one. Just like the V-Strom 650 has been for the past five years. Another couple had questions about a different bike, and Greg stepped away. I wandered around the showroom, looking at the rest of the offerings. I turned around a divider wall into another area and my heart stopped. There in front of me were three Moto Guzzi V7 Classics—black, white and one in the Café version green. I took a picture with the camera phone, but the quality was not good, nor the angle. So I grabbed a photo from the Moto Guzzi web site. I have had thoughts before about flying to Arizona, buying a bike and riding it home. Having ridden the route twice before, it would be easy if the bike had a proper break-in. The dealer told me how I could do that. That’s tempting. In a few weeks, I should be heading towards Arizona for a little work and pleasure. Of course, I hope to do a little hiking, and one of my favorite spots is the Superstition Mountains just east of the Phoenix area. There are a number of trails around the base of the mountain in the Superstition Mountains State Park, and on the other side, accessible through a new subdivision is the Peralta Trail. To the north, more trails that can take you back into the wilderness, like the one crossing Black Mesa through what seems like a tunnel passing through cholla cactus like the one above. Cholla is not a plant to be messed with. It is called the jumping cactus, and its barbed spines require pliers for removal. Just ask my wife.